The international home improvement giant described operations in France as “difficult”, as retail profit plummeted more than 30% and sales across its Castorama chain fell 6% in the first half, impacted by activity surrounding its five-year turnaround programme ‘One Kingfisher’. Despite describing a “solid performance” in the UK and Poland against a “weak consumer backdrop” Kingfisher said challenging conditions remain in France, where like-for-like (LFL) sales were down 2.4% and retail profit took a tumble. Castorama was the hardest hit, with total sales down 6% (-5.8% LFL) to £1,202million, which Kingfisher attributed to weaker footfall, with LFL sales of weather-related categories down 6.9% and sales of non-weather-related categories, including showroom, down 5.6%. Performance at the 100-strong retail chain was also impacted by transformation-related activity surrounding Kingfisher One. 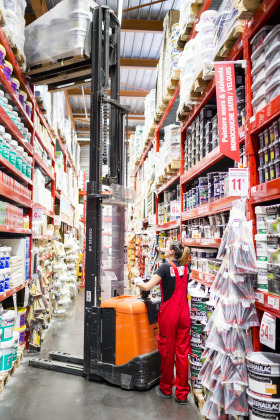 The five-year turnaround plan aims to deliver a £500million sustainable annual profit uplift by the end of FY 20/21by simplifying and unifying ranges across the international group’s retail brands, including Castorama, Brico Dépôt, B&Q, Screwfix, and Praktiker. 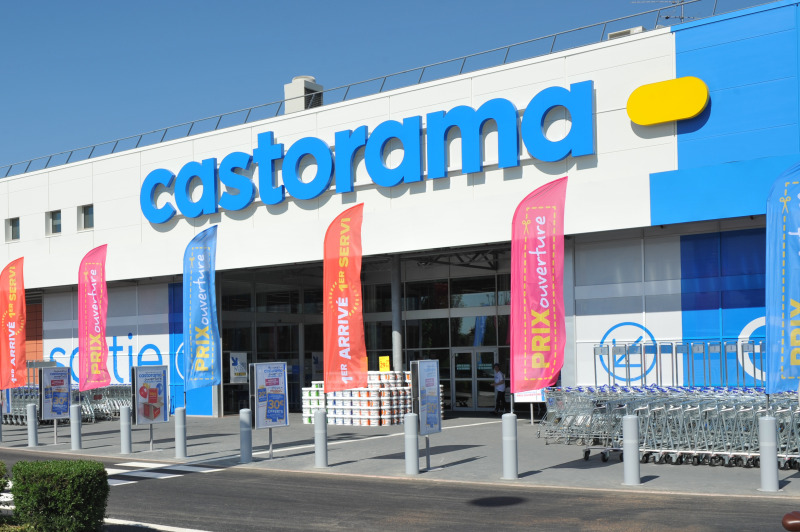 The company added that overall customer perception is not where it needs to be at Castorama in France, with issues over price positioning – which remains higher than the current market – the retailer’s proposition, and low digital penetration. Kingfisher said it remains convinced that its ‘One’ transformation programme is tackling these root causes of its underperformance and has put actions in place to support its H2 performance, including accelerating a move towards everyday low pricing and further development of the digital customer experience. The retail group’s overall underperformance in France did narrow slightly in H1, thanks to an improvement in sales at Brico Dépôt, which reported growth of 2.7% (+1.7% LFL) to £1,065million. The uplift reflected a good performance of the new unified ranges but was also supported by investment in marketing, which pushed up costs around the business and contributed towards the 31.1% retail profit drop. The unified offer under the Kingfisher One programme has reportedly been well received in categories, such as bathroom and storage but the business admits there is scope to improve implementation of the new ranges and to communicate with customers more effectively. With Kingfisher now halfway through its five year transformation, it reported today that the business has now “unified” 42% of its products and continues to significantly reduce the number of global suppliers and SKUs, by around 80% to date. New ranges implemented during H1 included additional outdoor ranges, doors, indoor and outdoor lights, nails, bolts and screws and glues. The business maintains that its unified and unique ranges continue to outperform non-unified ranges, with sales of unified and unique ranges, including clearance, up 2.2% compared with last year and sales of non-unified ranges down 1.8% (in constant currency including clearance, excluding Praktiker Romania, Screwfix Germany, Portugal and services). Kingfisher CEO Véronique Laury said: “The extent and pace of change in the retail sector is profound. We saw these changes and acted early. We’re now halfway through our ONE Kingfisher transformation and we are well on our way to becoming a truly customer-led, digital, and efficient business. “Our H1 results reflect a solid performance in the UK and Poland whilst France remains difficult. Looking to the full year we remain on track to deliver our strategic milestones for the third year in a row and have put actions in place to support our performance. The outlook for our main markets continues to be mixed. Absolute rubbish the unnecessary unified range change has left stores empty of stock losing millions in sales, no door handles in UK stores for months, just so they could change the packaging to have a confusing plethora of different languages on the packs, empty tool shelves for weeks sending customers off to competitors. Cuts to staff wages by up to £2400 for a CA, increased weekend shifts have driven experienced staff out of stores leaving remaining staff to struggle with increased workloads and no experienced staff to ask for advice. Management teams depleted many suffering from stress and depression trying to cope with pointless tasks from inexperienced regional managers with no practical shopfloor knowledge. A shadow of this once great diy store. Mr Block and Mr Quail must be so disappointed.